Traveling can be so much fun especially when done with the rest of the family. 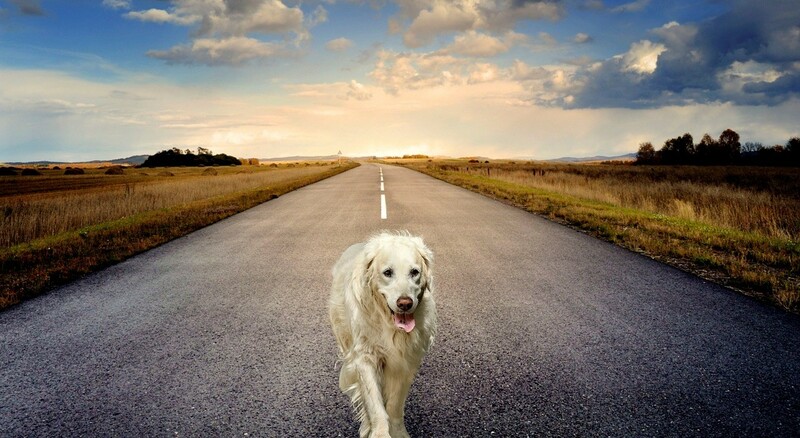 But if you have to leave your dog behind simply because the destination you’re going to clearly doesn’t have the dog-friendly atmosphere that other countries have, scrap this from your list and start planning your next trip to any of our list of the best countries to visit with your canine friend. The French are clearly passionate with anything and everything about life. France has consistently been ranked as the best country to go to if only to give your pet the time of its life. Whether it’s a supermarket, a shopping center, bar, or even a restaurant, you’ll never see any sign that says “No pets allowed”. Instead, they’ll be greeting your furry friend with open arms. Some public places even have their own “loo points” where you’d be given bags with which to pick up your canine’s mess. Unlike the US where there are laws or ordinances that restrict your dog’s freedom, you can let your four-legged friend run free in Francia. The people of Deutschland love their dogs. They’re one of very few countries that do not have no-kill shelters. Instead, they’ll pamper every animal that will seek refuge in any of their animal shelters. Each dog that ever lands in a shelter is given a daily dose of exercise, plenty of socialization with other dogs and humans, and a well-designed pet training program. Because of the Germans’ unconditional love for their hounds, it is not surprising that dogs that are destined to be euthanized in other countries are brought to Germany to have a second lease on life. Everyone deserves a new beginning. 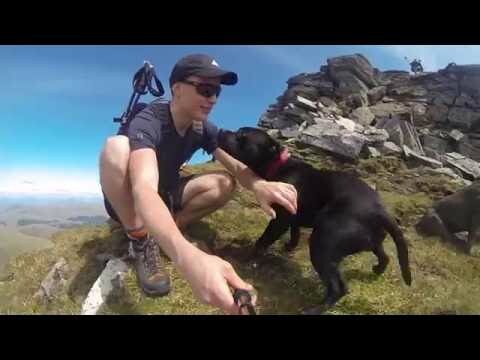 With so much open space, Scotland is a must-see destination for dog owners who like to travel. This is a wonderful walkie location with thousands upon thousands of square miles of wilderness to explore, from high mountains and monroes to white sandy beaches and loch paths. Scotland is truly a first class holiday destination for enjoying the great outdoors. Dogs are very welcome at many hotels, B&Bs and self catering vacation accommodation from the Highlands to the Islands and through the great cities of Edinburgh and Glasgow. 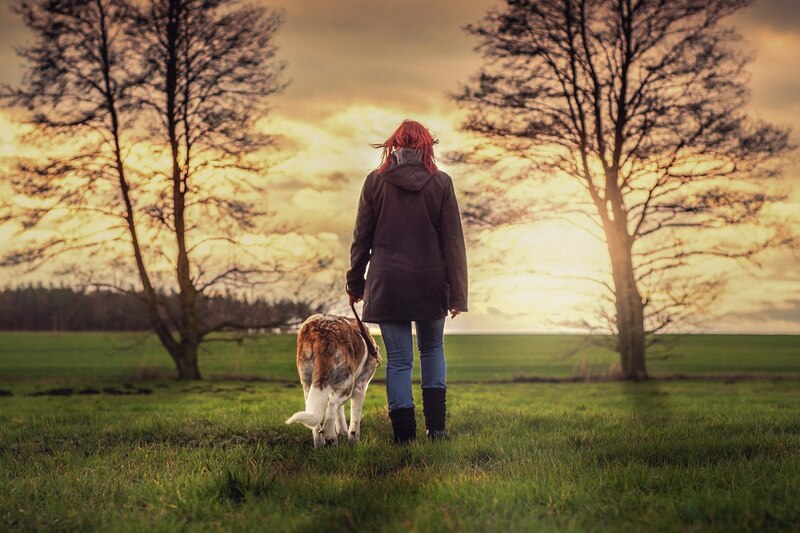 This online guide has some fantastic dog friendly options in Scotland. A haven for animal rights advocates, Austria is a land that is strongly against animal cruelty. Not one store will ever sell dogs or cats or any other animal. Anything that can inflict harm on dogs such as shock collars, prong collars, and even invisible fences is a big no-no. For Austrians, dogs are venerable members of the family; as such these four-legged family members are always part of the family’s daily activities. So, when you do decide to hit the streets of Vienna or even Salzburg, you can easily let your dog run loose. Switzerland is not only famous for the Alps, fine watches, and chocolates. 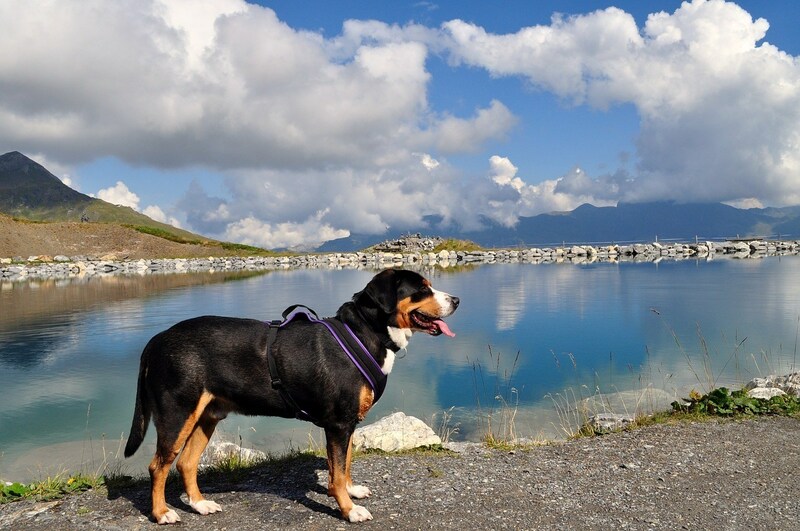 It’s also a favorite destination among pet parents who want to lavish their dogs with the best of what this Alpine country has to offer. Switzerland has one of the strictest guidelines when it comes to pet ownership. Unlike other countries where anyone can technically own a pet, the Swiss take pet parenthood very seriously. One needs to undergo a battery of programs and tests to determine their suitability as pet parents. Every pet parent is also required to have a pet insurance. It should really be a great destination for you and your pet. It would be great to visit all of these countries for your pet’s sake. If not, you can always go to any one of them. Known as the roof of the world with eight of the world’s highest peaks located within its borders, Nepal is not just a mountain climber’s paradise. It is also home to some of the planet’s most beautiful landscapes, adventure trails, and national parks that could see you being much closer to nature than any other country. And if you do plan to make Nepal as your next destination, make sure to include these must-do things when you get to the roof of the world. With a history that dates as far back as 250 BC, the town of Patan along the Bagmati River is a cultural anthropologist’s dream destination. 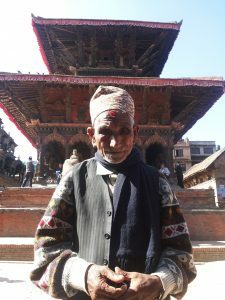 It has more temples than the larger city of Kathmandu or even Bhaktapur including the famous Kumbeshwar Temple and Golden Temple. 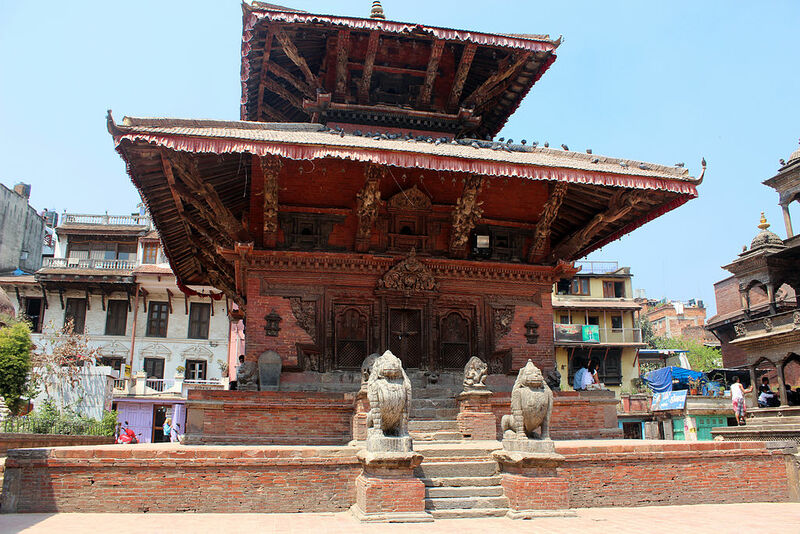 Unfortunately, a good number of ancient temples in Patan were badly damaged if not totally destroyed in the 2015 Nepal quake. It’s not the Colorado River in the Grand Canyon, but the Seti River has long been considered as one of the best places to learn whitewater kayaking. 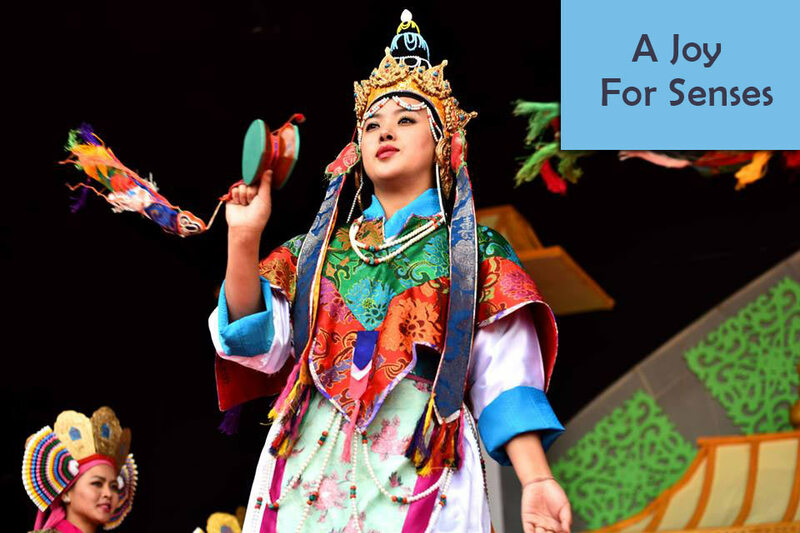 It’s a 4-day spectacle that starts at the scenic Phewa Lake moving along the Lower Seti and finishing in the shores of the Chitwan National Park. It’s the best starting point for kayakers who want to challenge themselves to conquer many of the treacherous whitewater river systems of the Himalayas. 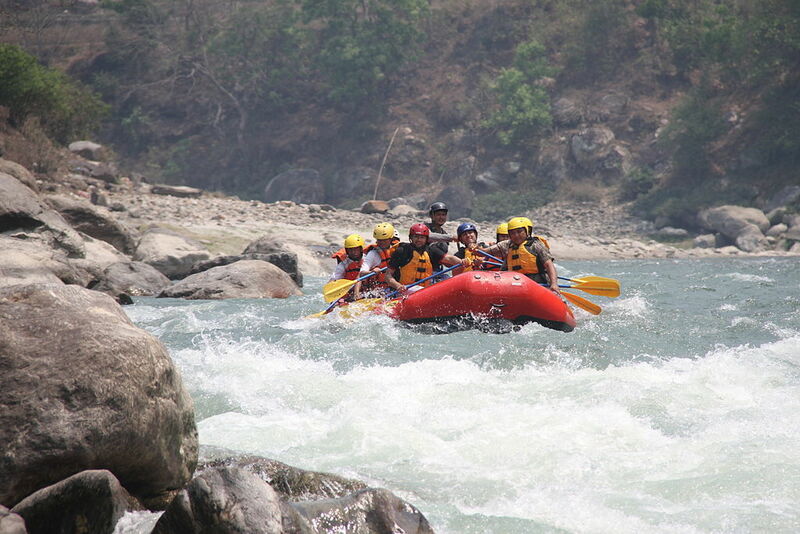 If you came with your family, a ride on one of Bhote Koshi River’s whitewater river rafting outfitters should give you the kind of experience that even the Grand Canyon cannot match. Take the 2-day whitewater river rafting package and get a first-hand experience why people around the world consider this to be the best. 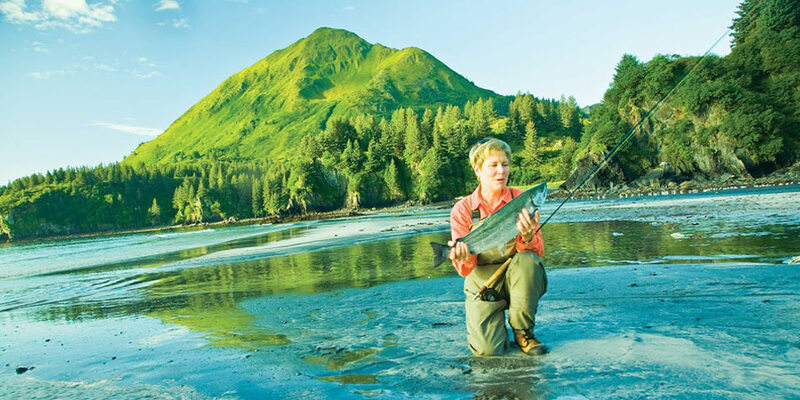 If you don’t have the time, you can always go for shorter yet equally adventurous river trips. Home to one of Asia’s largest tiger habitats, the Bardia National Park is a haven for animal lovers especially when they spot a one-horned rhino feasting on the brushes or even a parade of elephants. Be very watchful of the river dolphins of the mighty Ganges swimming together with crocodiles. There are more than 250 bird species in the national park including the Bengal floricans and sarus cranes. 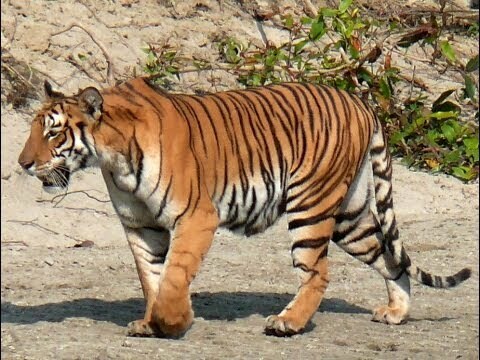 Of course, a trip to the Bardia will never be complete if you cannot spot the mighty Bengal tiger with its deep orange with black stripes coat. 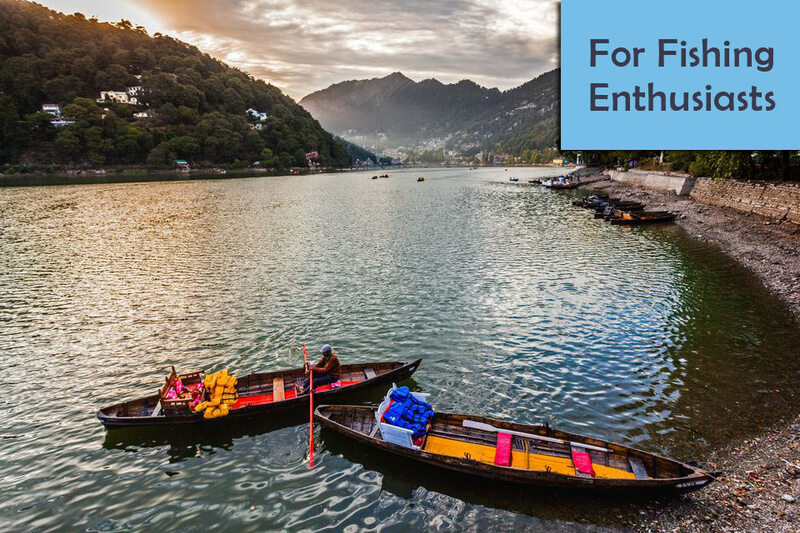 Pokhara is a lakeside town that comes with its own natural beauty including spectacular fishing grounds, trails for mountain biking, and numerous hiking trails. It’s the perfect place to go sunbathing while some of your more adventurous travel companions can go paragliding. It’s one of those places that you will never want to leave as it has the best mix of nature, activities, and the chance to find inner peace. Nepal may be a small country, but its beauty is superlative in every meaning of the word. Cottage holiday destinations are fast becoming popular because they are affordable and they are real homes away from home. When you rent one, you can run it the way you manage your home. Cottage holiday destinations are ideal for the whole family. You can easily find a cottage that will suit your budget while allowing you to enjoy your holiday with your family. Most holiday cottage destinations are located in the beach resorts or in farms. This will be a great change to staying in a hotel. In some holiday cottage destinations, there are no grocery stores, shops, pharmacy, and even entertainment. To avoid the inconvenience of driving to these places, pack the following essentials. Pack just enough clothes for the duration of your stay. Include a sturdy pair of shoes for hiking and jogging. Bring umbrellas. They will protect you from the rain and from the sun. Bring both light and warm clothes. Wear light clothing during the daytime when it is sunny. No matter how good the weather is, you cannot predict when it will rain or when the nights will be cold. Packing warm clothes will prepare you for any weather changes. Are there golf courses or tennis lawns in your destination? Have a sportswear with you so that you can play anytime. Include personal care necessities such as sunscreen, lotion, soap, shampoo and conditioner, toothbrush and toothpaste, deodorant, and whatever you use on your face and body every day. You would never know if there is a chemist in your destination. To be sure, have medicines with you just in case someone has a stomachache, toothache, slight fever, and diarrhea. 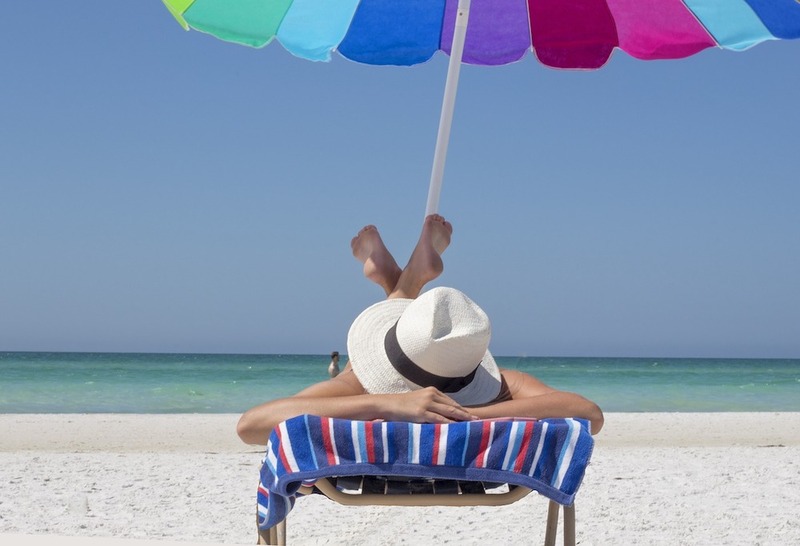 These are just common ailments but they can ruin your vacation. Stop this from happening by packing some medicine with you. Most holiday cottage destinations are self-catering. They have a kitchen where families can prepare their meals. Bring condiments because you might have difficulty finding them in your destination. Pack instant coffee, tea, milk, cereals, and some canned foods just in case you do not have much time to cook. Some holiday cottages provide fruits or snack packs but only for your first day. Remember that food in these places could be expensive. An icebox where you can keep your drinks will save you money. Some of the most expensive items in vacation destinations are drinks. Bring drinks in a can and a bottle or two of wine if you are looking forward to a celebration. Do you have your children with you? Nowadays, holiday cottages have television. But it could be boring after a day or two. To keep your children occupied, bring some games for them. Pack their favorite films so that they will have something to watch at night. If you are bringing your pets, buy enough food for them. There might not be a store close to your destination that sells pet foods. Other essential items include phone chargers and socket adaptors. With all these things packed, you are now ready to relax and have fun at your holiday destination. The sunny days are here and it is time to party at the beach! Beach festivals are the place to be, enjoying the warm days while listening to great music. With some events lasting days, you should definitely remember to pack all the essentials before hitting up one of those popular beach festivals or for your annual vacations by the sea. Whether you’ll be holidaying in Cornwall or California, Morecombe or the Maldives, there are some essential items you will need to pack to ensure the trip goes smoothly. 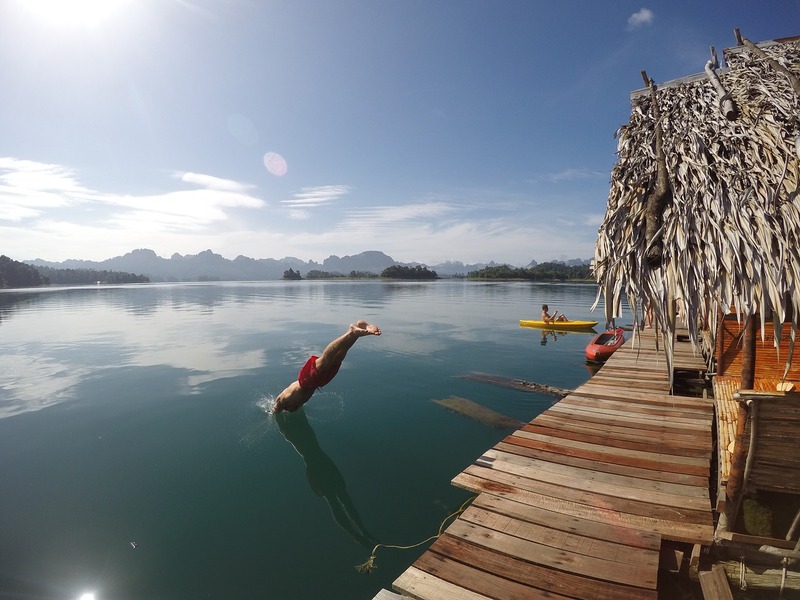 Whether you plan to hit the water or not, you should never forget to pack your swimwear. You can party on it (just wrap a bandana, use a cover-up or even just keep it under your clothes), splash around in the water on it, or simply use to sunbathe. If you are especially fair-skinned, staying under the sun the whole day can be disastrous. Make sure you pack some sun protection. Sunscreen is important, just remember to apply it several times a day and after you get wet. Sunglasses with UV protection will protect your eyes from the strong glare of the sun. A wide-brimmed hat will keep your face from turning red like a tomato. Another wonderful idea is to pack a great float to simply chill on the water. They come in funny designs like a huge pizza or even a unicorn. They are eye-catching, fun and simply a must-have at the beach. While there might be food stands, you can also bring your own gear. Check if grills are allowed, or simply bring battery-operated cooking equipment for some quick meals. You can also bring a water cooler (some are also battery-operated) to keep your drinks cool. While summer days should always be sunny, you can never avoid some drops while in the festival. So make sure you pack a light poncho, just in case. 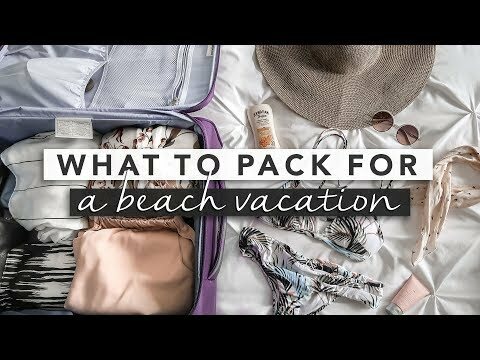 Make sure to include some essentials in your suitcase or backpack, like a towel to dry yourself off, your favorite pair of flipflops for walking on the hot sand, and a cardigan or hoodie for when the nights get cool. Do not ever forget your camera, or your smartphone, to be able to take some cool photos with your new friends at the festival. 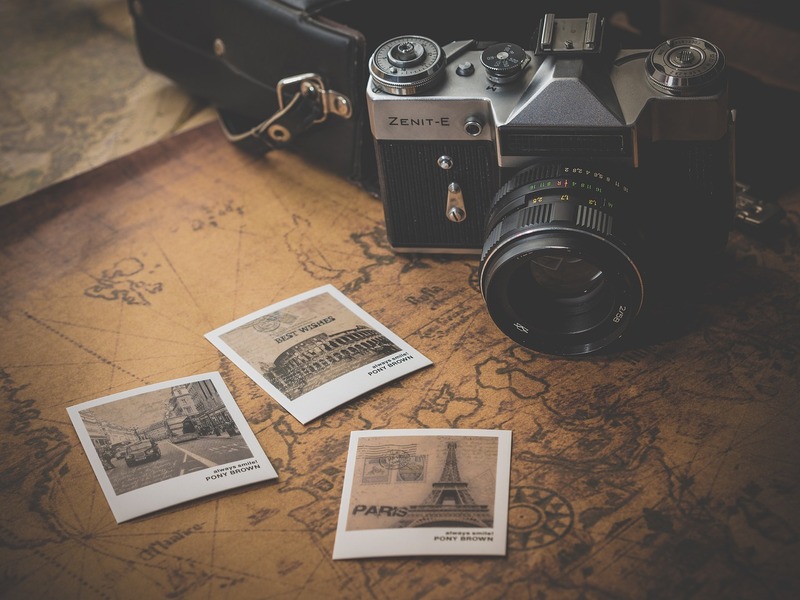 Not only can you keep memories longer, but you can show them around to friends and family afterward. For some beach yoga, bring your own mat. You can also use it to lie on the sand as well. When you also want to do something else, bring your favourite book with you as well. When partying at the beach, you will not be able to easily run to the shops to buy some things. So to be safe, make sure you pack the essentials with you and you will also not have to pay the exorbitant tourist rates. Who says that only the rich can afford to travel the world? Satisfy your wanderlust this 2018 without spending beyond your budget. Discover places that are not yet blemished by modernization. Prices are amazingly low and you will be able to stick to your budget with a little extra to buy some souvenirs. Here are the best budget-friendly destinations in 2018. If you are looking forward to enjoying Mother Nature, learning some history, staying in affordable accommodation, eating good food, and doing some exploration, then Tallinn must be your next travel destination. Tallinn, the capital of Estonia, is one of the oldest towns in Northern Europe. You can explore this town on foot, and do some sight-seeing along the way. Staying in dorms or private homes will cost you very little. Tallinn is famous for its tasty and affordable street food. For a few dollars, you can enjoy a hearty delicious meal. 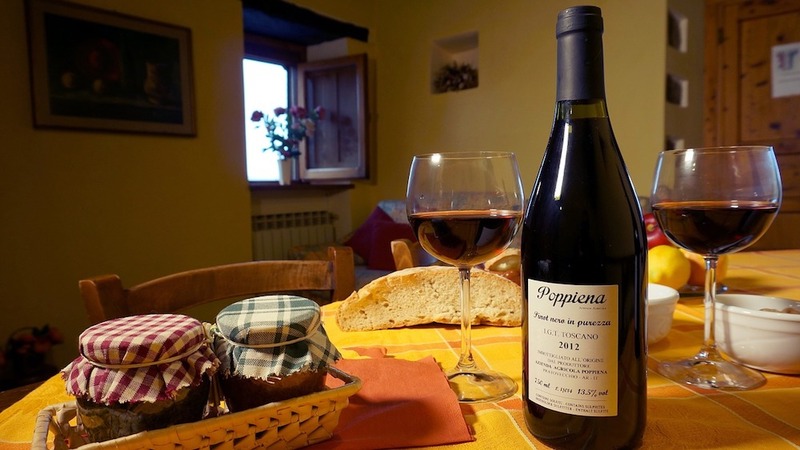 You can also enjoy food and cooking tours at reasonable prices. 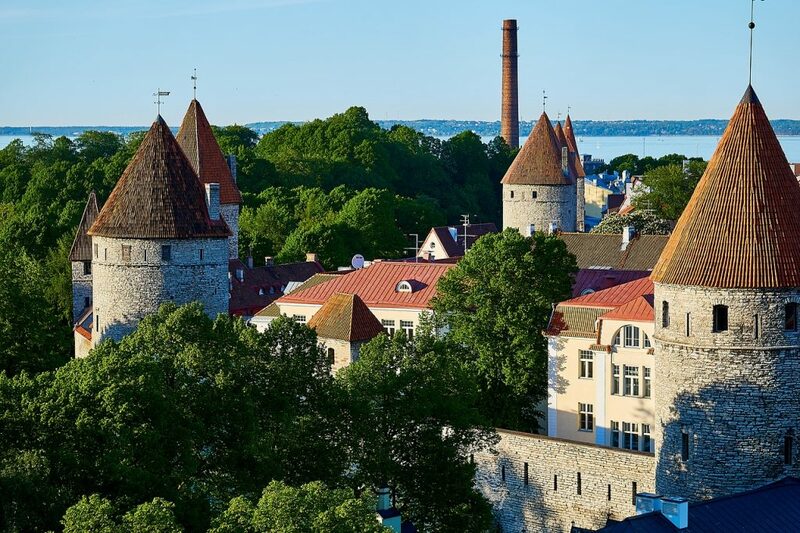 In Tallinn, you can enjoy the panoramic view of the Baltic Sea, visit museums, and go on a bike tour. One popular attraction in Tallinn is the underground passages that date back from the 16th century. These tunnels were believed to be the hiding places of the soldiers and their ammunition every time Russian warriors would attack. With everything that it offers at budget-friendly prices, Tallinn is an ideal travel destination for 2018. 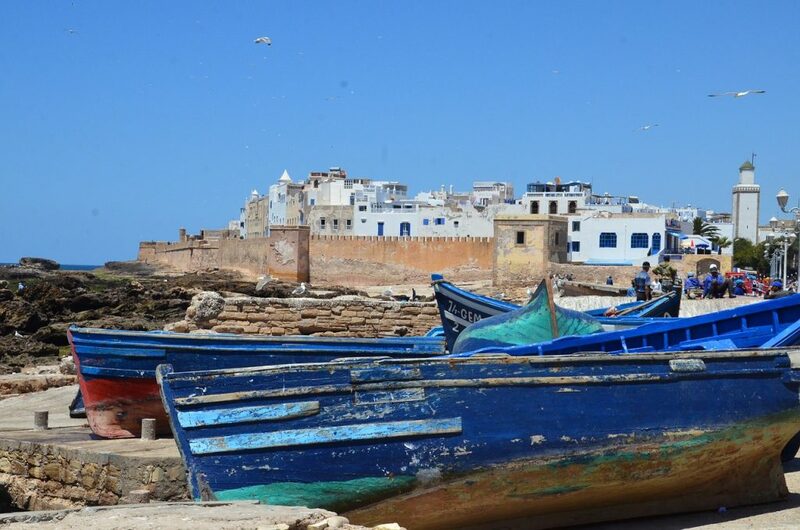 Essaouira is a port city and resort found on the Atlantic coast of Morocco. While some tourists avoid it during the summer season because of the strong wind coming from the Atlantic, wind and kite surfers consider It a paradise as the rough sea becomes their playground. The best time of the year to visit is during autumn and spring. Food is very affordable and delicious, especially the seafood that has just been brought in from the sea. You can stay in the traditional Moroccan homes and palaces called “riads” and experience living in great comfort and luxury at very low rates. The view is fantastic. The golden beaches and the crowded sea-colored boats make up its picturesque harbor. Explore Skala de la Ville, which is featured in the “Game of Thrones” as the Astapor. A visit to this lovely place will be within your budget. 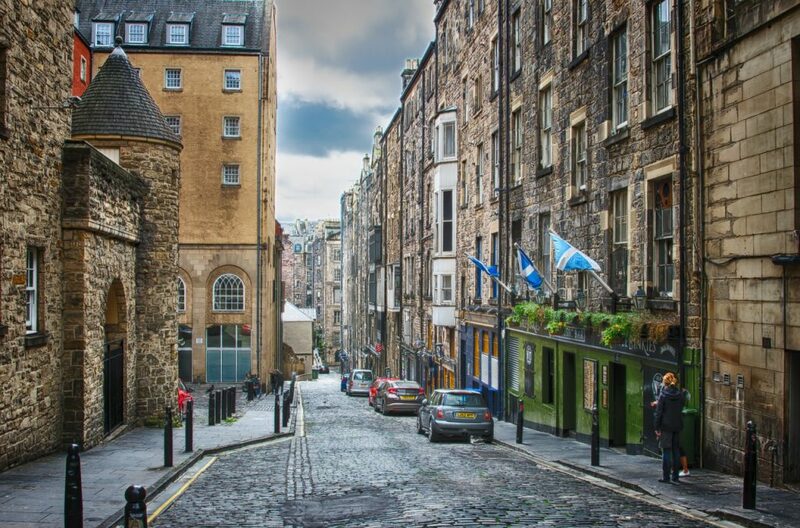 Edinburgh is a lovely city in Scotland. If you are a fan of the Harry Potter series, this is your chance to see the place where JK Rowling wove the tales about witches and wizards and about the magical school of Hogwarts, the Scottish castle where students study how to do magic. Stroll the streets of West End and breathe in the bohemian atmosphere as you shop in one of its boutiques or have a cold drink in the numerous pubs and bars. If you know where to look, you can easily find a dorm or a private accommodation that will not exceed your budget. Food is budget-friendly at £5 for a hearty and delicious meal. 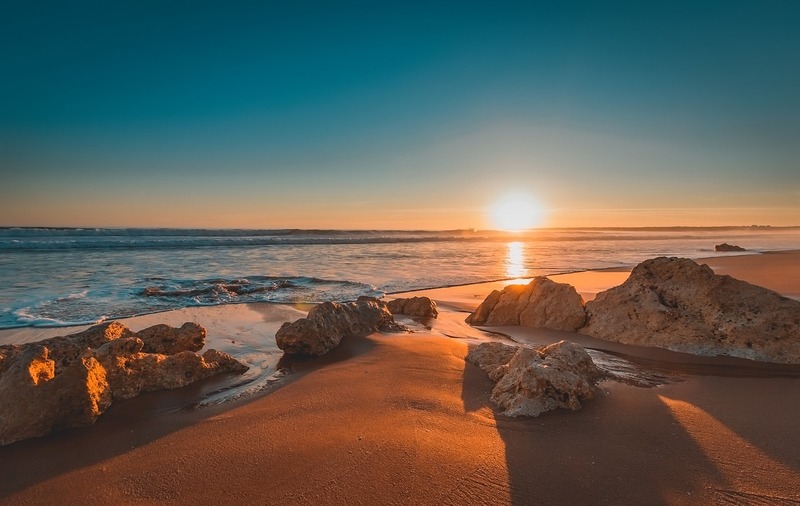 Every now and then, we need to reset our mind and body, to take a long vacation away from our desks and just relax and enjoy time with ourselves. When we think of relaxing holidays, we generally mean lazy days in beautiful sandy beach destinations. We’re lucky in Europe that there are some fantastic vacation options in coastal hotspots with amazing places to stay by the sea. 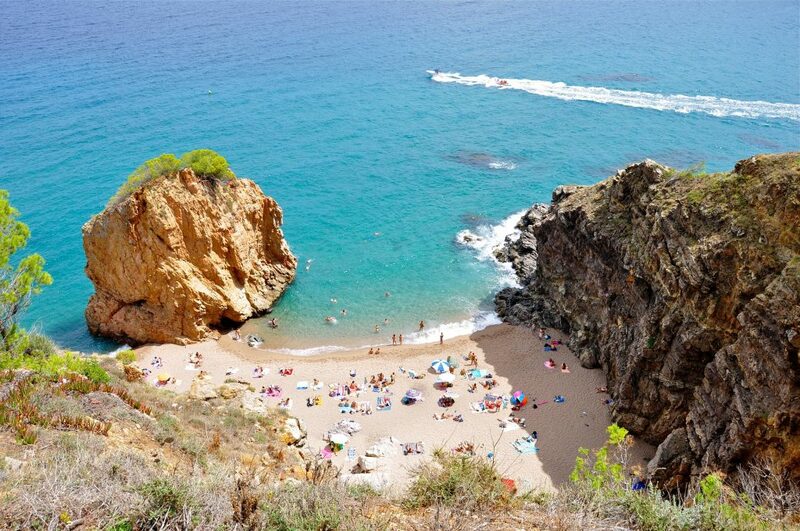 So why not take a trip and experience some of the most breathtaking beaches in Europe? Why Europe, you ask? There are certainly a lot of good attractions out there in the world, but none can compare to the majestic and relaxing sceneries that the continent has to offer. What better way to clear your mind but with a wide view of dramatic coastal scenery and the waves rippling across the horizon. The Algarve in South West Portugal has become a popular destination for tourists from all over the globe. It remains serene and rarely has establishments around and it is almost deserted. Cool spots for you to visit are Praia de Albandeira and Sudoeste Alentejano, as well has the popular seaside towns of Lagos and Sagres. 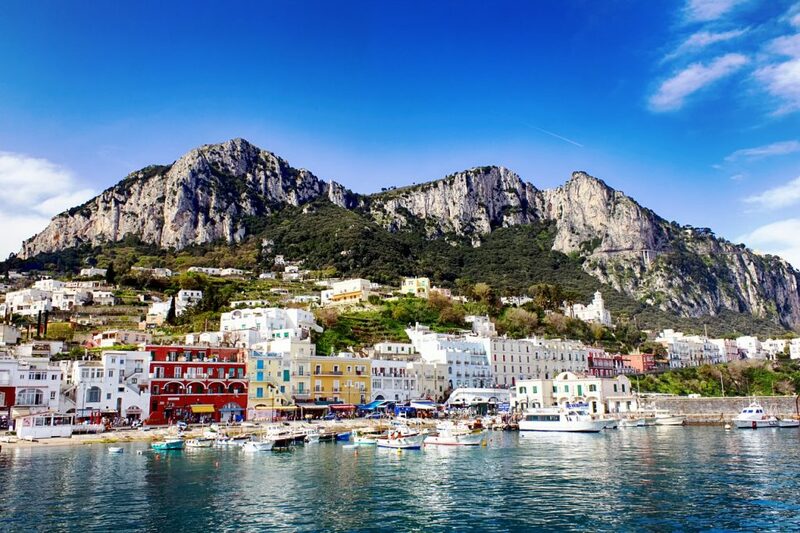 Gorgeous sea views and beaches can be found in the country of Italy. We strongly suggest going to more than just one place to make the most of your stay here. Places to visit are Amalfi Coast, Cala Goloritze in Sardinia, Cala Tonnarella in Sicily, Trieste and Venice. When here take a drive along the coast to experience panoramic sea views. It may not be warm, but Scotland has some wonderful white sand beaches backed by dramatic mountains. It makes a great place for outdoor adventures by the coast, with plentiful accommodation options. The Scottish Isles, in particular the Isle of Skye, has some of Europe’s best beaches and possibly the best sea views anywhere in the world. San Sebastian, Formentera and Barcelona are two of the best city beaches in Spain. Here you can enjoy shopping, dining, swimming and partying. If you want to get away from the congested beaches and prefer a place more private and with fewer people, Cala Macarella beach in Menorca is perfect for you. Just a heads-up though – getting there is not easy. You may need to travel far and hike a couple of miles, but all that effort will be totally worth it. Dublin actually has beaches. It is common knowledge that Ireland has cold weather. But if you are looking for a fantastic sea view, Dublin is also home to the Cliffs of Moher and Galway’s Dolphin Beach houses are top tourist spots, too. The Bay of Biscay is known as the Hamptons or White Islands of France. Nice is also perfect during the summer, particularly the Blue Beach and Plage Beau Rivage. The Zlatni Rat in Brac, Split and Dubrovnik are one of the best beaches and sea views in Croatia. They are perfect places for sailing and relaxation. Most of the beaches here are isolated and peaceful. 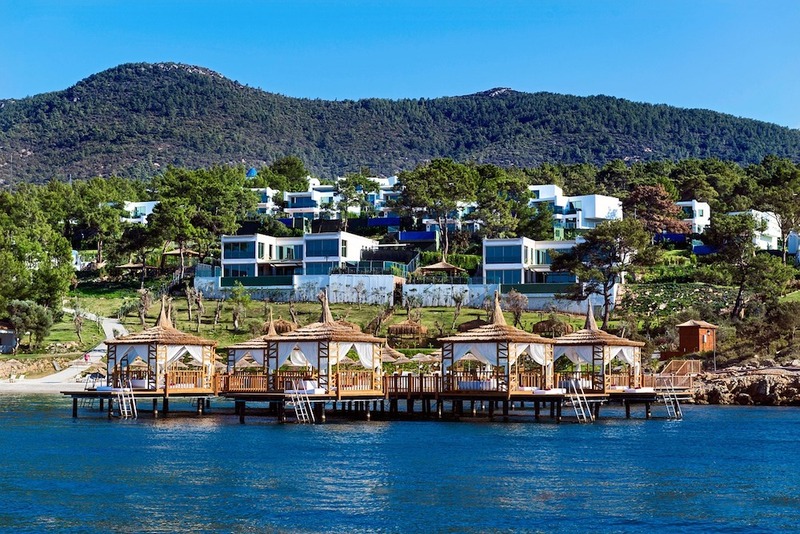 Bodrum and Istanbul are the best places to visit in Turkey. They are clean and probably some of the most peaceful beaches in the Mediterranean. 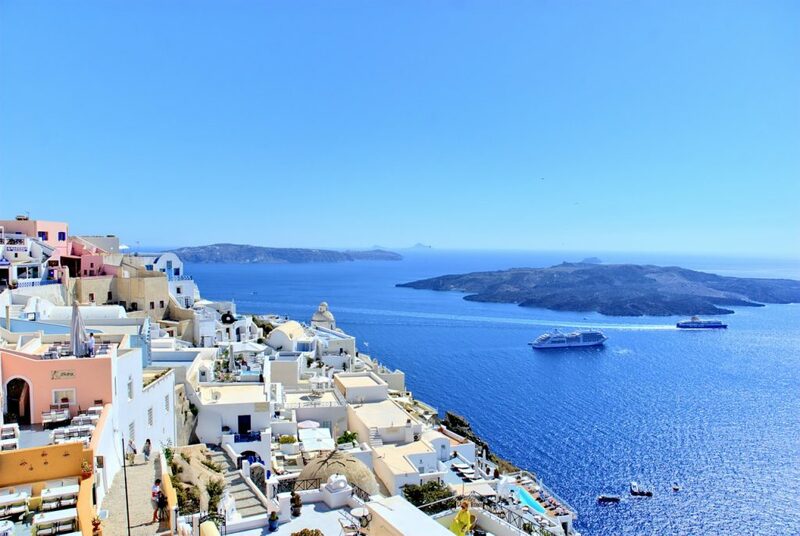 The Santorini Caldera has one of the world’s spectacular shorelines. The sunsets are best to view from terraces. It has been described as “majestic” by most. The Navagio beach in Zakynthos, Greece is popular for its limestone cliffs and ancient shipwreck that is buried in its center. These amazing places in Europe are perfect and you can choose to go to sites that are not as crowded like other destinations out there. Travel and open your mind and soul to the sea. For many in western countries, staying in a self-catering cottage is a great way to save money especially when traveling as a group. This is because hotel rooms can end up too expensive, and the option to cook allows you to save money from having to eat out. 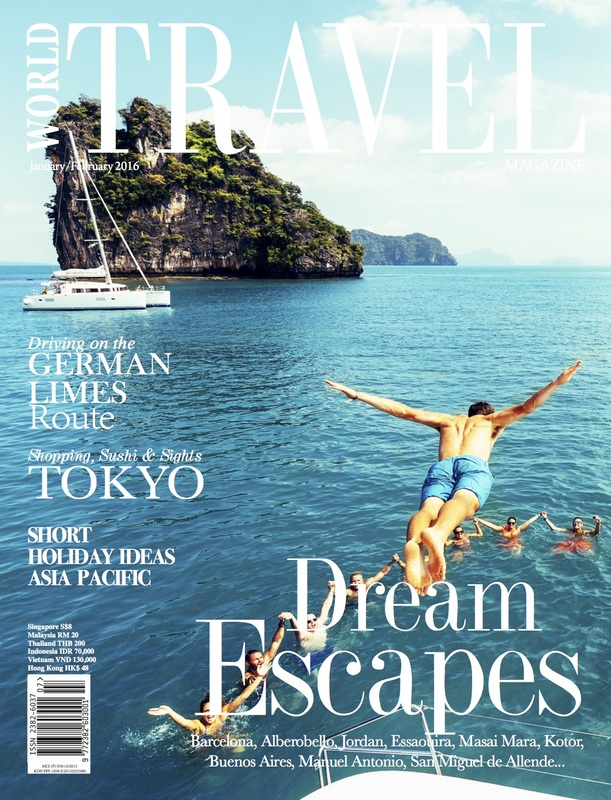 However, in Asia, choosing to stay in that cottage or villa is the way to have a luxurious holiday. This is what you can expect from your rental cottage or villa in Asia. Why share the beach with hundreds of other hotel guests when you can have your very own strip all to yourself? Forget about watching other people half naked and burning under the sun, and enjoy lying on the sand without worrying about anyone disturbing you. In Asia, you can rent your own beachside villa, get out of bed and go straight to the water in a matter of minutes. In the UK, for example, you would have to do your own cooking and cleaning while staying in a self-catering cottage. You might perhaps pay for general cleaning at the end of your stay, but you will still need to do the day-to-day chores like washing the dishes and doing the laundry. In Asia, you can very easily coordinate with your travel or booking agent to arrange for someone to do the housework, the cooking, and just about anything you would love not to do while you are on vacation. It is much like staying in your own space, but getting the daily cleaning services like in a hotel. You can finally spend your holidays truly being lazy the whole day. Whether it is by the beach, overlooking a volcano, over water, or in a rice field, cottages in Asia can be found in the most unique of locations. However, many would not have the full amenities like cottages in the UK, so if having a kitchen is important for you, you would find the list of options limited. Instead, many just arrange for daily meals to be delivered or simply go out to eat. Another wonderful thing is, eating out is much cheaper here. More than just having your meals delivered to your doorstep, you can pretty much arrange for almost everything. You can have massage therapists do their magic while you lie on your own bed, you can have beauty treatments done there as well. You can also arrange for a personal driver who will come pick you up and drop you off, and drive you all over town (and beyond) for as long as you want them to. 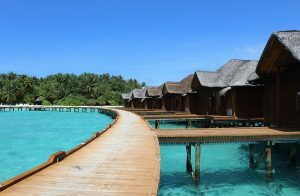 In fact, staying in a villa or a cottage in Asia is equated to having a luxurious holiday, as opposed to those who opt to stay in budget hotels or hostels. You can also live in the traditional houses of the country you are visiting, which certainly adds to the exotic experience. So when you plan for that grand Asian trip, do not hesitate to book a cottage or a villa and enjoy all the benefits you deserve. So far the history of Kaziranga is concerned Lady Curzon first heard about Rhino of Kaziranga from her British tea planter friends and came to Assam in 1904-05. Although she could not see the animal but spotted hoof prints with three toes. Which concerned Lady Curzon that such an animal did exist. On her return she persuaded Lord Curzon to do something to save these animals from total annihilation. Lord Curzon set the wheels of British bureaucracy rolling and on 1st June, 1905, a preliminary notification announcing the intention of the Government to declare 57, 27360 acres of Kaziranga as a reserved forest was issued. Finally Kaziranga was declared as reserved forest on 3rd January, 1908 and was officially closed for shooting. On 28th January, 1913 the area of reserved forest was expanded with the inclusion of another 13509 acres. Kaziranga was declared as “Game Sanctuary” on 10th November, 1916. In 1938 the then conservator of forest, A.J.W. Milory stopped all poaching and opened Kaziranga to visitors. Because the word ‘game’ connotated animals for hunting, in 1950, the then senior conservator of forest Mr. P.D. Stracey, changed the term to ‘wildlife sanctuary’. Gradually the sancturary begun as a nucleus encompassing a small area, expanded to its present size. 0n 11th February, 1974, the designation was changed to “Kaziranga National Park’. 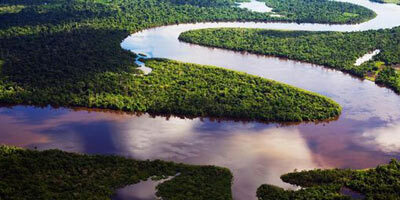 And finally Kaziranga National Park was declared ‘World Heritage site”. Beside of course the great one horned Indian Rhino, the other major wild attractions include a large population of Indian Elephants, Indian Bison, Swamp Deer or Barasingha, Hog Deer, Sloth Bears, Tigers, Leopard Cats, Jungle Cats, Otters, Hog Badgers, Capped Langurs, Hoolock Gibbons, Wild Boar, Jackal, Wild Buffalo, Pythons, Monitor Lizards, etc.Kaziranga National Park is a birding paradise; the grasslands are a raptor country that can be seen on safari makes a remarkable experience. These include the Oriental Honey Buzzard, Black-Shouldered Kite, Black Kite, Brahminy Kite, Pallas’s Fishing Eagle, White Tailed Eagle, Grey-Headed Fishing Eagle, Himalayan Griffon, etc. Huge numbers of migratory birds descend on the parks lakes and marshy areas during winters, including Greylag Geese, Bar-Headed Geese, Ruddy Shelduck, Gadwall, Falcated Duck, Red-Crested Pochard and Northern Shoveller. 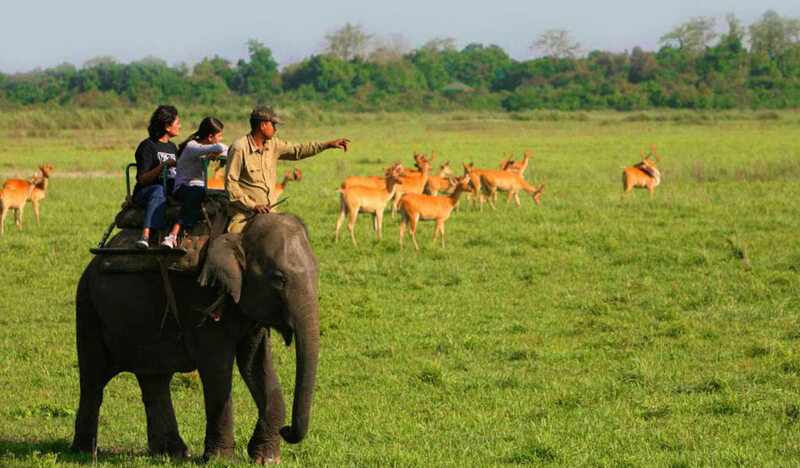 Elephant Safari: The vast open country makes Kaziranga National Park very accessible and wildlife viewing fairly pleasurable. Here one can leave in the early hours of the dawn for an elephant-back-ride. 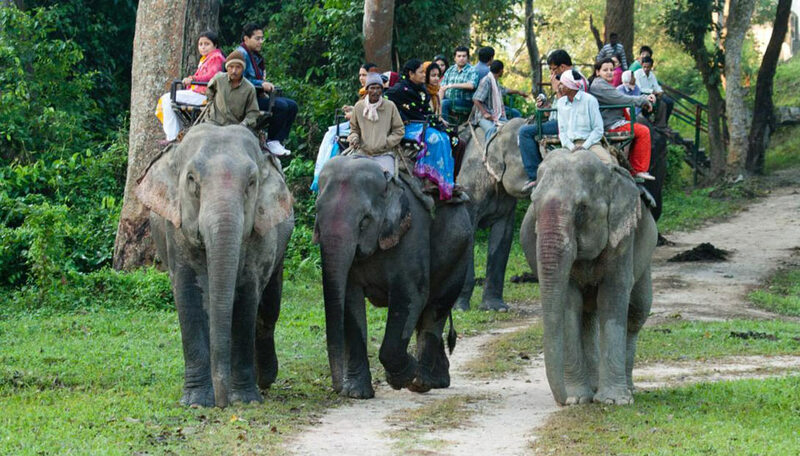 Authorized and trained Mahouts who guide visitors through the park train the Elephants. One could see wild Elephant herds roaming around or Indian Rhinos browse past visitors unconcernedly. 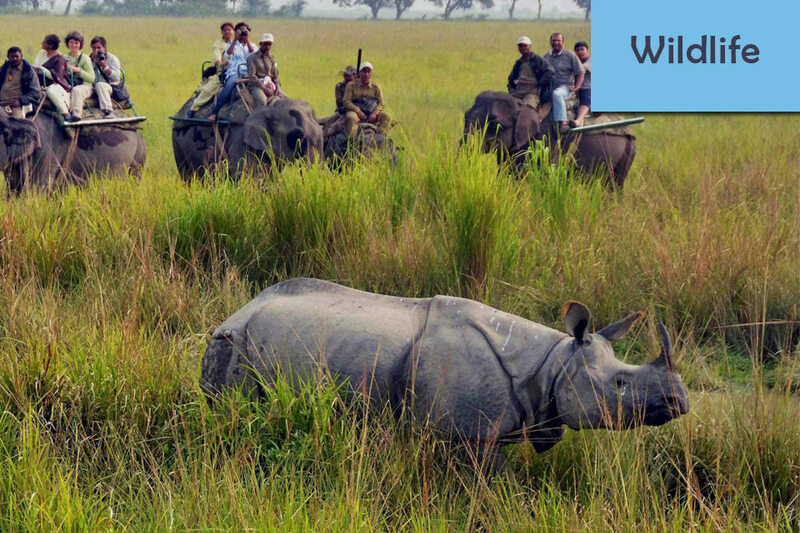 Since Kaziranga wildlife Sanctuary is easily accessible, its provides a chance to see animals in the wild at such close quarters, thus making a trip to this National Park a very rewarding experience. Kaziranga’s visiting season is from mid-November to early April months. During the monsoons, the Brahmaputra River bursts its banks, flooding the low-lying grasslands and causing animals to migrate from one area to another within the Kaziranga National Park. The region of Nampong is something to behold. There are so many wonderful things to see here, not even counting the festival. This wonderful town is situated close to the border with Myanmar, in the Changlang district. You can visit the historical Stilwell Road. This was the most important trading route for the entire region. The serpentines here are breathtaking. Also, you can see the World War Two cemetery which holds the bones of brave soldiers who fought for freedom and protected India. This festival arose from the desire of a few local enthusiasts to keep Rock n Roll alive. It started out as a way to show support to local bands and performers and grew into something much larger. This is three days of pure Rock n Roll in the region of Cherrapunjee. While you spend your night headbanging, you can have some fun during the day hiking in the surrounding hills. You can explore the nature around the town and enjoy the beautiful wilderness. One of the easternmost regions of India, the state of Nagaland hosts the Hornbill festival in the city of Kohima. The whole town becomes a carnival during the festival days. There is something for everyone here, so make sure you spend more than a few days in this beautiful country. 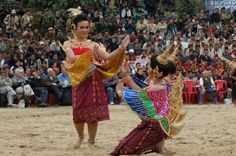 This is a large event which attracts thousands of people to the state of Arunachal Pradesh. There are many national and international performers and every time this festival offers something new. The crowd will dance into the night, moving along with the sound of music. This is truly something to feel. Furthermore, this event raises awareness about the Indian art, culture, and music.